Whether the nation is experiencing an economic crisis or an economic boom, thousands of Australians experience hardship. Homelessness is not a distant or rare issue and it affects families, adults and youth in our community. A homeless reality will introduce you to a few people close to this national problem. In December 2008 Kevin Rudd told the nation that homelessness in a country like Australia was simply unacceptable. Narelle Clay, CEO of Southern Youth and Family Services and National Youth Commissioner, believes the federal governments’ white paper, The Road Home, is a step towards reducing homelessness. 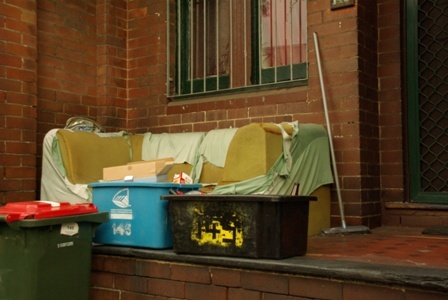 More than a third of Australia’s homeless are under the age of 25, that is at least 36 000 people. Double the number 20 years ago. Half will be turned away from emergency housing because services are full. “There remain significant barriers to reducing homelessness because of the lack of adequate, affordable and secure housing and the lack of access to adequately paid, secure, full time employment for young people,” Ms Clay said. 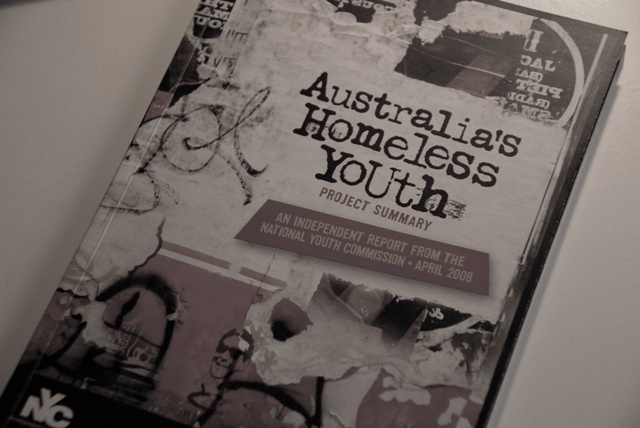 The National Youth Commission’s reported in the Australia’s homeless youth project summary that over $1 billion in funding is needed over the next ten years to address the problem. “Failure to act will diminish the integrity of Australia’s national core value of ‘a fair go’ for all. We are at a moment in time which will either be seen in retrospect as a watershed for change, or an opportunity lost forever,” reports the NYC. Already thousands of people, including youth, in the Illawarra receive assistance from SYFS and the number of those in need of help is certain to rise with the economic crisis. Narelle Clay, CEO of Southern Youth and Family Services, spoke to Crossfire in December 2008 after Prime Minister Kevin Rudd announced The Road Home, an initiative to decrease the nations homeless population by the year 2020. More than 100 000 Australians sleep without secure housing. Narelle Clay joined Crossfire to discuss the on-going problems and whether the economic down turn has meant more people are asking for help. For more information on where to find assistance visit the Southern Youth and Family Services website. Kevin Rudd has released his second white paper in as many weeks, but this time he has been met with little objection to his policies. The White Paper on homelessness aims to halve the number of Australians sleeping on the streets and in rough conditions by 2020 with an injection of $1.2 billion. Roughly 105 000 people in Australia sleep rough every night. The Road Home, sets out a commitment to improving services and housing with funds form the $6.1 billion affordable housing program. The funds and program will be monitored by the Council to Homeless People. Council to Homeless Persons CEO, Deb Tsorbaris said “The Australian government has made this significant commitment to people experiencing homelessness…we are impressed with the outcome focussed approach of the White Paper”. $800 million of the funds will provide new support services and $400 million will go towards housing the homeless. Crossfire spoke to Southern Youth and Family Services CEO Narelle Clay about homelessness and how the governments goals can be achieved.